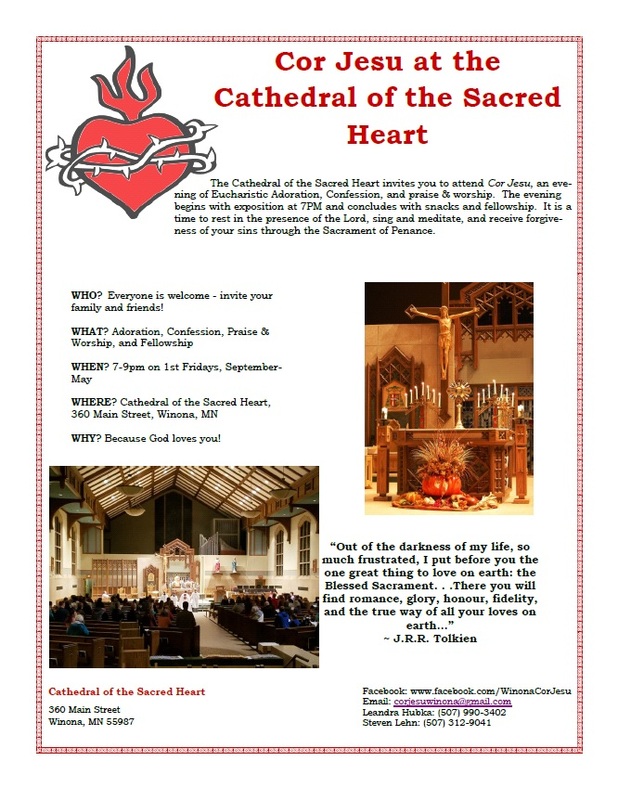 The Cathedral of the Sacred Heart invites you and your friends and family to attend Cor Jesu, on Friday, October 6th, 2017, from 7-9PM. Cor Jesu is an evening of Eucharistic Adoration, Confessions, and music in honor of the Sacred Heart of Jesus. All are welcome to attend! For more details, search for Winona Cor Jesu on Facebook, go to winonacorjesu.gitlab.io, or call Leandra Hubka at (507) 990-3402 or Steven Lehn at (507) 312-9041.